Makeup and hair pro Chuck Jensen offers tips on tasteful glitter makeup, false eyelash application and a dance 'do for short hair. These tricks will help even the most seasoned of false-lash appliers (read: your senior comp kids). When applying false lashes, use a mirror on a table a little lower than your face. By looking down, you'll get the best view of your lash line. Don't curl your real lashes, or they'll push the falsies away from your lash line. When trimming the lash strips to fit your eyes, trim from the outside, or longer, edge so you don't mess up the natural gradation. When applying, start at the inside corner of your eye, where you can see your natural lash line best. 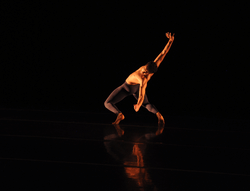 Did your dancers get their summer haircuts a little early this year? Have no fear—try this short-hair–friendly updo, a modified version of a Gibson Tuck. Grab two small pieces from one side of the part and twist them together. Keep picking up new pieces of hair as you twist along the side of your head, pinning at intervals to keep the twist from unraveling. Make a ponytail, incorporating all remaining hair, at the base of your neck. Roll the tail upward and use hairpins to secure it at your nape. 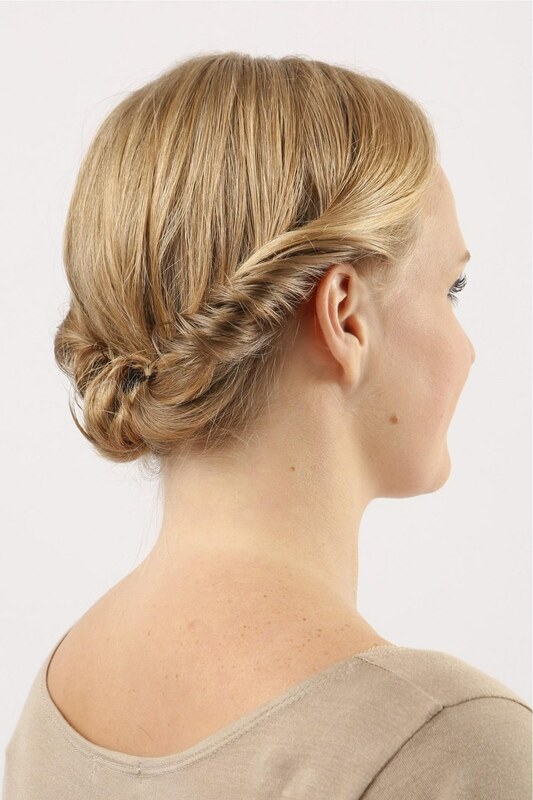 Gently pull the ponytail roll and the side twists together, so they look like one seamless twist. Glitter doesn't have to be garish. Use liquid highlighter for face contouring (as opposed to powder) for a high-drama look that reads better from onstage. Experiment with sparkly eyeshadows in colors that will pop from a distance.